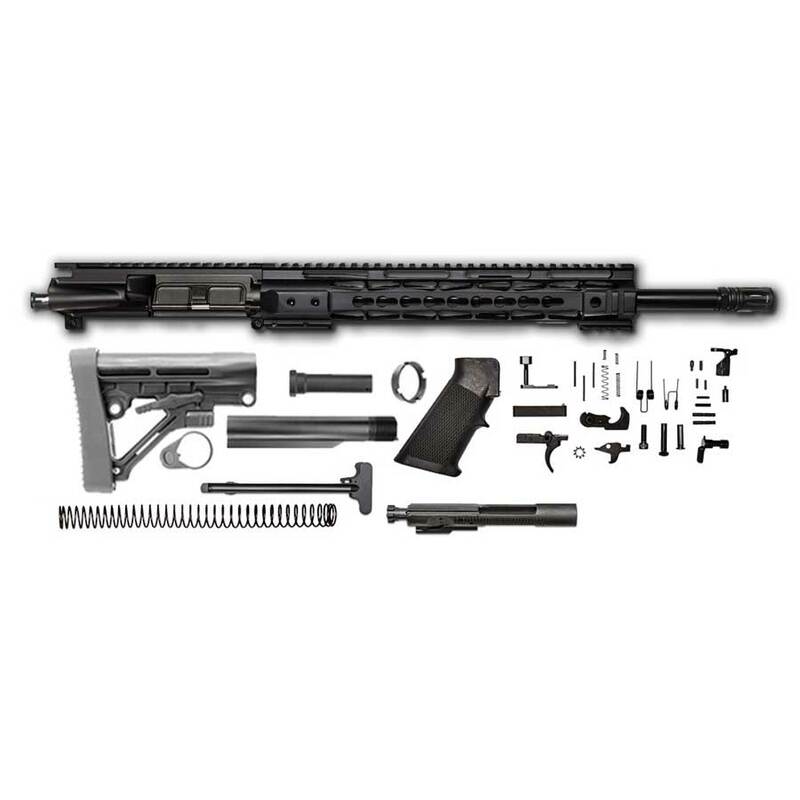 THIS KIT IS EVERYTHING YOU NEED TO BUILD AN AR-15 – 7.62 X 39 EXCEPT A STRIPPED LOWER. The receiver is a flat top M4 Mil-Spec upper receiver are forged CNC Machined from 7075-T6 Aluminum, the hardest and most durable material of any upper! This 16” 7.62 X 39 barrel is made from 4150 Chrome Moly steel, has 1:10 twist rate & carbine gas system.The rail is a 12” CBC Keymod rail made from Airplane Aluminum and then hard coat anodized to improve the strength!